I was super impressed with the level of professional service is unbeatable and I highly recommend this dealership to anyone looking for a Jeep or Chrysler. Wade took much of his time and effort to secure just the right vehicle for me. Would definitely work with him in the future as my needs change. Working with Lou Davis over the phone and in person was a great experience! Everything was smooth and straightforward and we left as happy customers! We had a very good experience purchasing our Chrysler Town and Country van. We worked with Wade Griffith and Madison Armon, and both of them were exceptional. Chris Foster on the financial end did his part in making our purchase a pleasant experience. 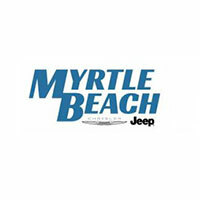 When you visit our Myrtle Beach new and used Chrysler, Jeep car dealership your satisfaction is our primary concern. If you value low prices and a variety of high-quality vehicles, Myrtle Beach Chrysler Jeep is the first and last place you will need to shop for a new or used Chrysler or Jeep. Our team is proud to serve the communities of Conway, Garden City and Murrells Inlet with Chrysler and Jeep vehicles and would like to have the chance to earn your business. We are ready to assist you and can easily be contacted by phone.